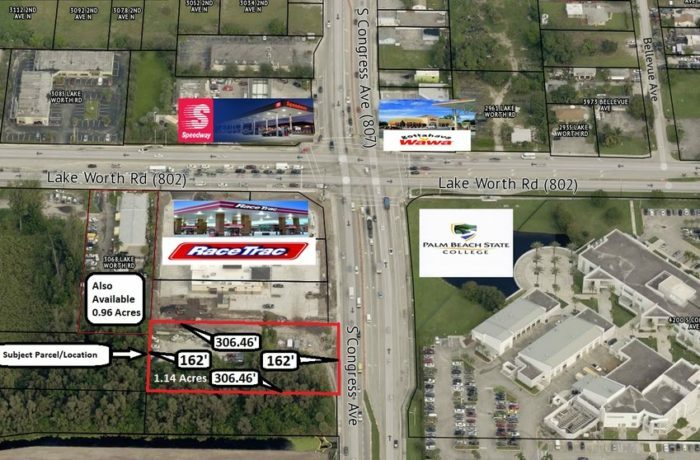 William Raveis Commercial is pleased to exclusively offer 1.1419 acres directly across from Palm Beach State College. This property is in a prime location with high traffic count. Front of property has an option for an ingress/egress allowing you to drive to-and-from RaceTrac establishment. Current adjoining parcels to the south and to the west have been purchased and a residential development is going up. Please call Barry to discuss covenants with RaceTrac.